GMAT Scores for Top Business Schools – In this cut-throat competitive situation towards ensuring admission to global management colleges and Universities. To take admission in your Dream College or school, there are some key components which play an important role such as Resume, SOP, LOR (Letter of Recommendation), ELP(English Language Proficiency) and GMAT/GRE score. Undoubtedly, GMAT is one of the most essential aspects of the Admission procedure into the top management colleges all over the world. According to the GMAC ( Graduate Management Admission Council ), GMAT score is fully recognized and accepted by approximately 6000 business colleges in more than 150 countries worldwide. 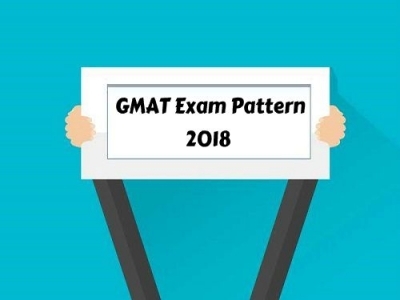 Dear Students, if you are planning to study your business management course, it is essential to know the required scores of GMAT and does not only focus on the schools who accept GMAT. Most of the top business schools in the world, accepting the aspirants who have scored require at least 550 or above in GMAT. The following list includes the top-ranked business colleges in USA, Asia, Europe, Australia and Canada and the average GMAT score for entry into the programme. USA has the myriad number of institutes in the list of top business schools in the world and it is the hottest destination for MBA students all-over the world. Harvard University, Stanford University, University of Pennsylvania and Massachusetts Institute of Technology (MIT) comes under the top 10 MBA colleges in the world. 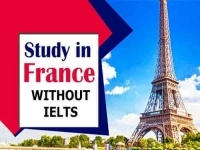 Mostly, in USA, there is the high demand of GMAT score for secure admission to its top-ranked business schools; the acceptable GMAT score should be more than seven hundred in all the management colleges with some exceptions. Canada becomes the second hottest destination for overseas students. Canada has put the specific standards for accepting GMAT scores in its top business schools i.e. with a GMAT score of 650 or more; the student can secure admission in top colleges. According to QS and Top Universities listing, some of the Canadian universities and colleges are ranked among the top MBA colleges in the world. Asia is booming up as the destination for student among MBA students. Singapore and Hong Kong, among others, are the top countries generated by financial hubs for abroad studies destination. The GMAT scores for top business schools in Asia are also demands for a high score that is 650. Institutes like INSEAD AND IIM are the top colleges of Asia. 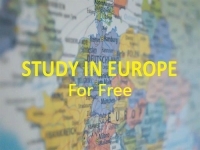 Europe has been considered as a hub to some of the world’s best business management schools. In Europe, specifically, France, Germany, Spain, and the UK are the best destination for candidates to pursue MBA. 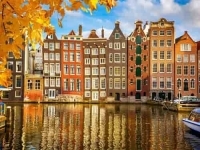 Europe attracts a huge amount of MBA students every year. The requirement of high GMAT scores for its top-ranked business schools which demands 650 scores. While countries like Australia, do consider it as the top place to study MBA overseas, very few business colleges in Australia appreciate GMAT scores but few universities give importance to job experience. While some colleges do ask for GMAT score but it doesn’t have high cut offs.